This is a beautiful display of hanging mirrors. 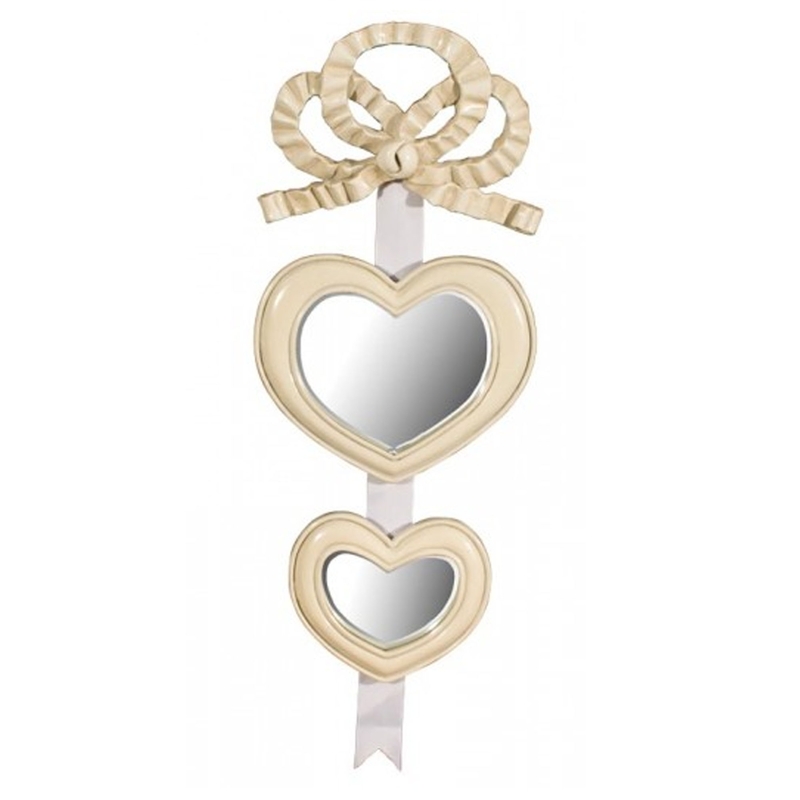 It's got a larger heart mirror and a smaller heart mirror, both attached to a beautiful ribbon. It also has a bow at the top to tie the whole piece together. It's sure to fill any home with warmth and love, creating an overall happy atmosphere.